To combat cardiovascular disease the focus should be on lowering bad cholesterol – not just increasing the use of statins. That's one of the main takeaways from new cholesterol guidelines just released by the American Heart Association and the American College of Cardiology. The guidelines include treatment for people at high risk and offer a personalized risk assessment. The recommendations also encourage health care providers to assess whether a new drug is having the desired effect, within 12 weeks. 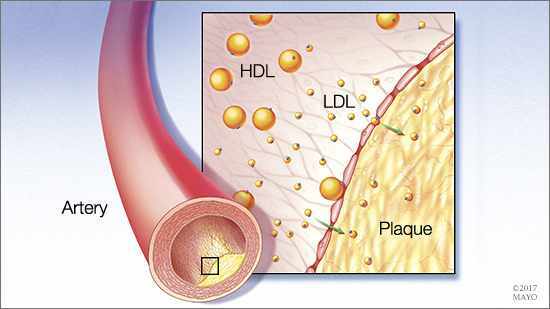 “I believe they represent significant positive steps in the way we treat cholesterol and the way we need to assess patients’ cardiovascular risk,” says Dr. Francisco Lopez-Jimenez, a Mayo Clinic cardiologist. Nearly 800,000 people die of heart attacks, strokes and other cardiovascular related diseases in the U.S. each year, according to Centers for Disease Control and Prevention. Dr. Amy Pollak, a Mayo Clinic cardiologist, says she’s excited about the new guidelines because a lot has happened since 2013. "The revised guidelines do a beautiful job of integrating the data that’s come out over the last five years," says Dr. Pollak. "This has been much anticipated, and I think it will be a very useful tool for health care providers and patients as we talk about the right cholesterol level for a given patient, what the future risk of heart disease might be for that patient, and is there a role for medications." Watch: Dr. Amy Pollak discusses updated cholesterol guidelines. High cholesterol, at any age, can increase a person’s lifetime risk for heart disease and stroke. A healthy lifestyle is the first step in prevention and treatment to lower that risk. The 2018 guidelines recommend more detailed risk assessments to help health care providers better determine a person’s individualized risk and treatment options. In some cases, a coronary artery calcium score can help determine a person’s need for cholesterol-lowering treatment, if their risk status is uncertain or if the treatment decision isn't clear. While statins are still the first choice of medication for lowering cholesterol, new drug options are available for people who have already had a heart attack or stroke and are at highest risk of having another. For those people, medication should be prescribed in a stepped approach, first with a maximum intensity statin treatment, adding ezetimibe if desired LDL cholesterol levels aren’t met and then adding a PCSK9 inhibitor if further cholesterol reduction is needed.